I just noticed that Blogger has a way for you see all your draft blog posts. This is good because there have been many times when I've started writing and just stopped because it wasn't coming out the way I wanted it to. And then I just never posted it. But then there were times I kept them as drafts on purpose. One day right after my father passed away, I wrote out what happened that day and then saved it as draft so that I wouldn't forget it. I've always known it was there, but it was kind of buried among all the other posts. I never could get to it easily. But I found it today. I also found the posts regarding one of the last conversations I had with my father. None of them are easy to read. In fact, I just skimmed the post about "that day" because it was going to make me cry. It's way too traumatic to publish...ever. The anniversary is coming up soon. Four years. Four. It's hard to believe it's been that long. The fact that he isn't here to watch his only grandson graduate high school breaks my heart. Man, he would be proud. He would also be proud I quit smoking. One time someone asked him how he would feel if I smoked and he said he would be fine as long as I eventually quit. I guess he meant before I got too old to quit or something like that. But it just shows you how awesome he was. He supported me no matter what I did. He would also be proud that I figured out a way to get on Ebay and buy myself a cheap laptop. He loved Ebay. The last time I looked, his profile and feedback is still there. All those hard to find Weebles he used to get me. The Scotty dogs and old toys he'd find for my mom. All of that was still there. But I haven't looked in awhile. I'm ready to look forward now and not backwards. That's why I'm going to start working on my writing again. I go back and forth between wanting to do another romance or a memoir. Maybe I'll do both! So many milestones this year. I'm hoping by this time next year, I'll have something written up and ready to submit! I can do it! I know I can! Ok, now I just sound crazy. But if I can quit smoking and lose 35 lbs within a year, I can write a book. Maybe this weird, magical and powerful person that has taken over my body will help with that too! Anyway, even though I didn't want to watch it, I was still curious. Me: "What movie is this?" Me: "What's that male actor's name? I know he's pretty famous." Me: "Yes, he is. Press the info button." He presses info. 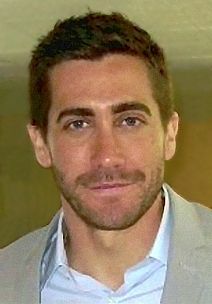 Me: "See, Jake Gyllenhaal. He is famous!" Me: "Yes, he is!" (We are obviously very civilized and mature). Him: "Just because he dated Taylor Swift doesn't mean he's famous." Me: *stunned silence* "How the hell did you know he dated Taylor Swift? I didn't even know that!" Him: "Oh and he dated that girl from That 70's Show." Me: "Ok, How did you know THAT?" Him: "From that magazine." He points behind him to the bathroom. Yes, this is what happens when I put my Entertainment Weekly's into his "library" in the bathroom. Maybe I should start putting in magazines about spoiling your wife or about making a million dollars. Is there a book for men about how to not be babies when they are sick? The possibilities are endless! My son and I went shopping for a suit this weekend. That's what he wants to wear for his graduation, so that's what we're getting! We ended up at the mall. The mall! Sadly, my son thinks malls are actually just for shopping. It's not the 80's where the mall was THE hang out place. Maybe once in awhile one of your friends had babysat or had a parent who would give them enough money to buy a tape or record, but most of the time you had a little bit of money for the eatery or the arcade. That was it. No shopping at the mall! I asked him if he'd seen Fast Times at Ridgemont High and he hadn't. That just shocked me! What kind of education have I given this boy?? Maybe I should buy it for his graduation present! Welcome to adulthood son! "No shoes, no shirt, noooo dice"
We passed a Spencers and I was like, "I met one of my first boyfriends at a Spencers!" I could tell he was just humoring me when he said, "Yeah?" "Yes. But at my mall, the Spencers was two levels and he followed me up to the second level while all my friends were down below playing with the adult toys--"
I guess he didn't enjoy that story. We passed a store selling prom dresses. I told him, "You ruined it for me being a boy. I didn't get to buy you a prom dress!" Him: "You could've bought me one but good luck getting me to wear it." Her: "What are you looking at?" Me: "I don't know. I guess the cat that had four babies and then LEFT THEM AT MY HOUSE." I swear she's like one of those crack moms’s who has a bunch of kids and then leaves them with her mom so she can get more crack. But I'm not really sure what the cat equivalent to crack would be. Catnip? Is there a dealer in the neighborhood? Her: "Hey, I weaned them and taught them to hunt. What more could you want?" Me: "Yeah, that's great. They hunt very small mice and bugs. But they don't eat them. They just wait for us to feed them." She gives a little cat shrug. "Hey, if you keep feeding them, they will always be deadbeats." People always tell me that if I stop feeding the kittens, they will go away. But how can I do that? They look at me with their spooky yellow eyes and I'm pretty sure they will find a way to kill me if I did. Plus, I'm pretty sure this is a bit of empty nest syndrome creeping up. Not that my son will be leaving the house that soon. But the point is, HE COULD. And I couldn't do a thing about it. The law isn't even be on my side anymore! I guess if I just keep feeding him, he won't go anywhere. It's a shame it's too late to be a crack mom. This would be so much easier!